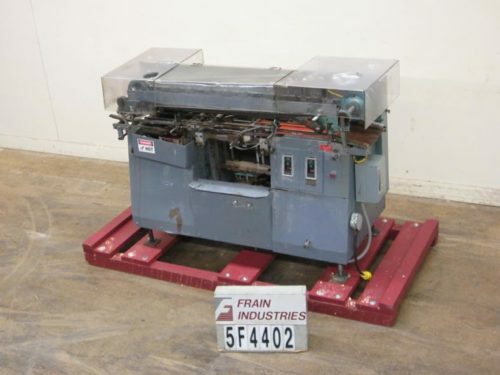 New Jersey 400RFINALTOUCH tamp on, labeler rated 10 to 50 labels per minute – depending on materials and application. Label size range: 1" to 6" in Height; 2" to 10" in Length, depending on print engine. Equipped with Sieman’s PLC with A/B 600 panel view, RS-232 port, low label low ribbon and end of web detectors Mounted on adjustable height stand. Label specifications: up to 14" in Diameter on 3" core; up to 6.125" in Width. Configured for horizontal label application. 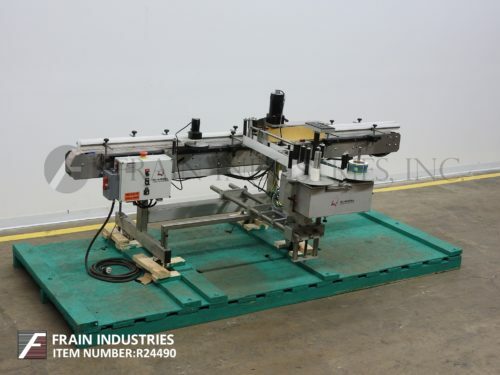 Additional features: 46" long x 16" wide Dorner conveyor with a load capacity up to 400 lbs and rated up to 421 feet per minute – depending on materials and application. 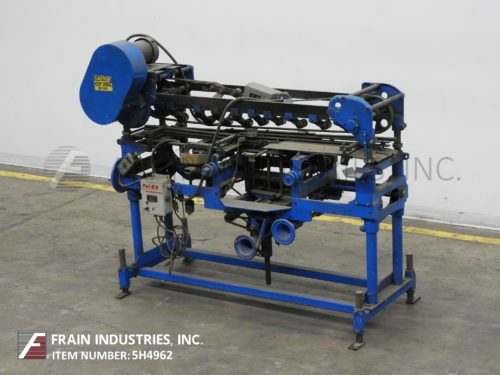 Equipped with a 26" high infeed/discharge, 2 1/4" high guide rails, and a 24" long top squaring device. Mounted on height adjustable legs.